Regium@Lepidi Project , while working in the Duke AAHVS Visualization and Interactive Systems Group, in conjunction with Prof. Maurizio Forte's Dig@Lab at Duke Unversity. 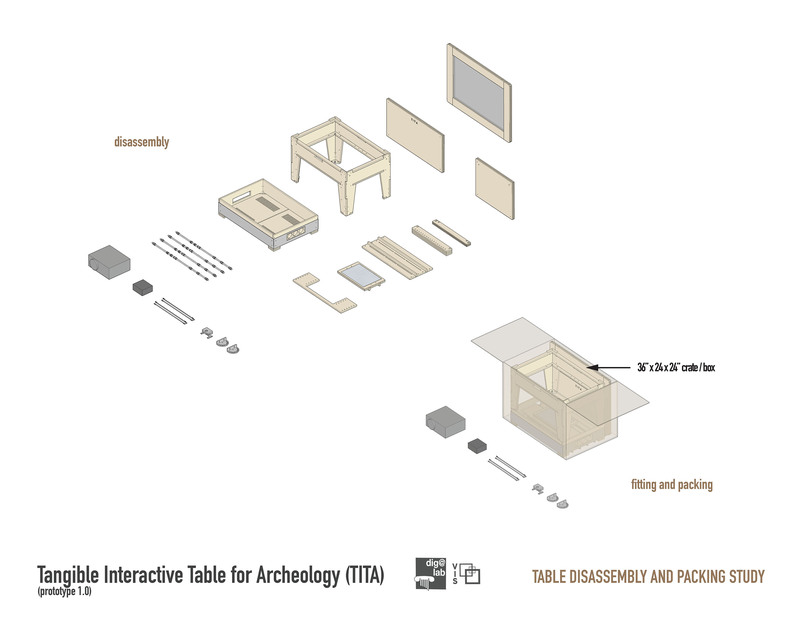 The Tangible Interactive Table for Archaeology (and Art) (TITA) is an open-source prototype of a digital-haptic (touch) device, designed for museums, and in general for the digital communication of archeological artifacts, monuments and sites, and art objects broadly. 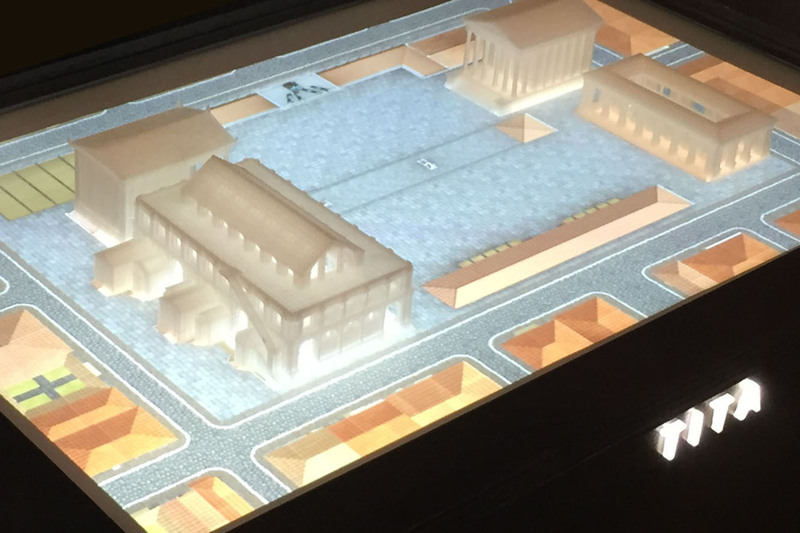 The project is a collaboration between Duke University’s Dig@Lab (Maurizio Forte – archeologist/researcher/professor), and the Visualization and Interactive Systems Group (Todd Berreth – designer/developer)(co-PIs). 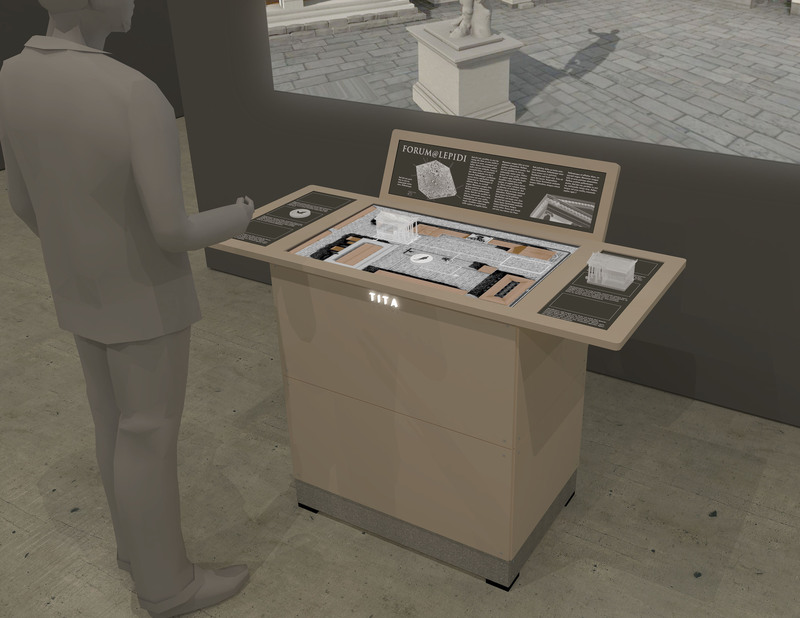 The aim is for the table to provide a unique and engaging interface between the museum visitor, and the breadth of digital content, modeled artifacts and virtual environments, being collected, hypothesized, and communicated by archeologists and other researchers, using the intrinsic affordances provided through interacting with physical objects and touch-based engagement. 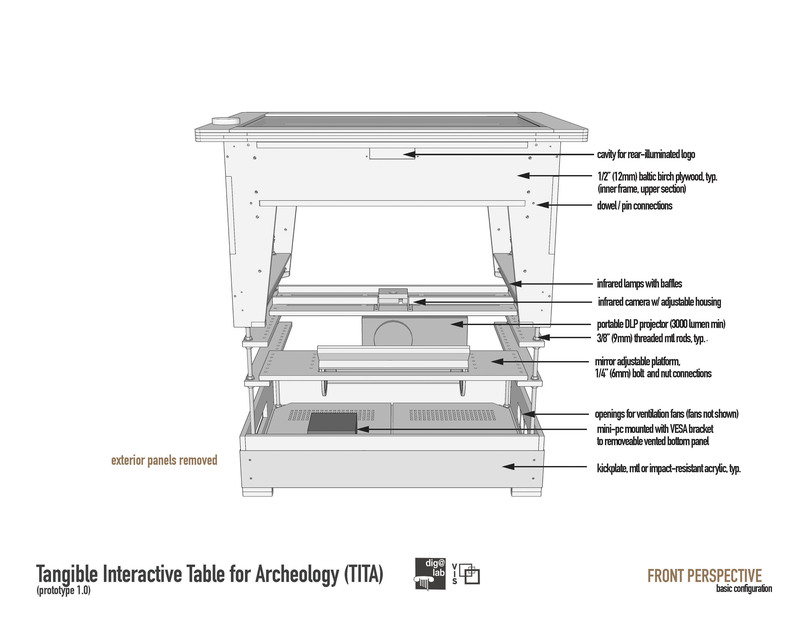 TITA is being developed as a very versatile platform and once deployed, it could work with different digital content (not just archeology and art). 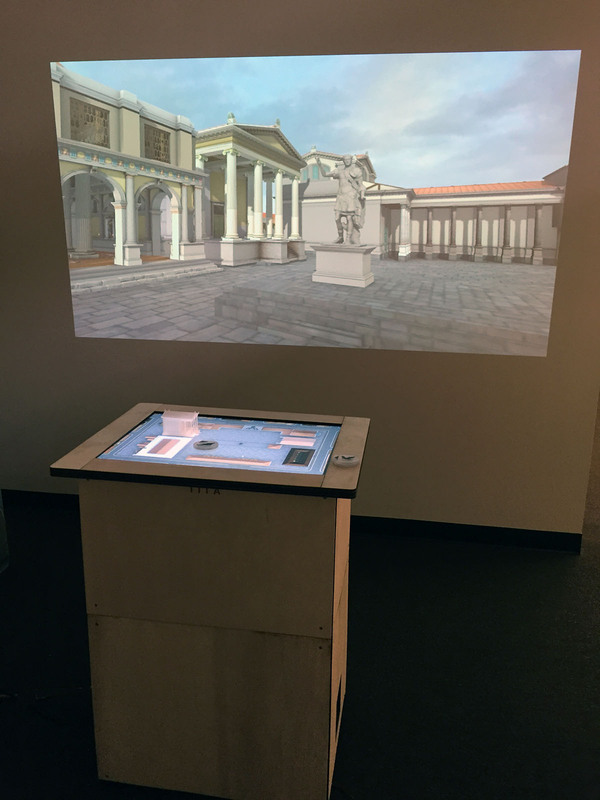 The haptic/multi-touch surface, associated signage and tangible objects, could be easily swapped out for other exhibition materials, and thus has broad applicability for the presentation of educational, curatorial or entertainment content, across disciplines. 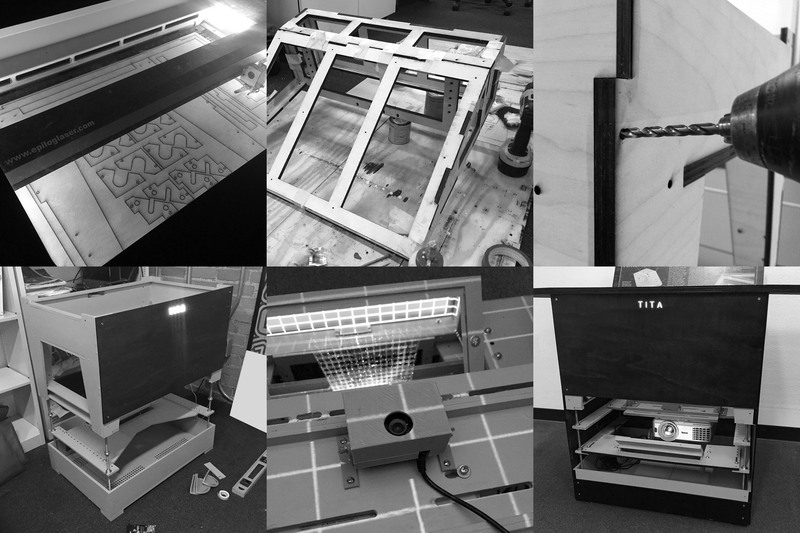 The hardware and core vision tracking mechanisms are being developed by the Visualization and Interactive Systems Group, specifically as an open source design project, where all fabrication files and developed software are shared with the museum, academic and hobbyist communities, for testing, refinement, mutation and dispersal. 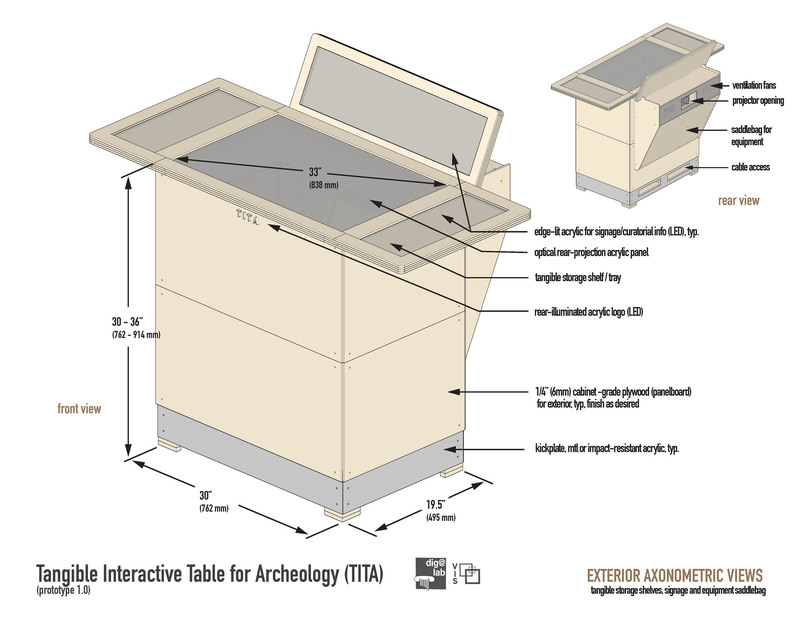 The table is being engineered for ease of fabrication and low-cost, specifying manufacturing techniques, materials and software that would be readily available to your average “digital maker” (assuming someone has access to a laser cutter, 3d printer and basic hand tools). All fabrication materials can be obtained from local “big-box” home improvement stores (like Home Depot or Lowes), excepting the electronic components, touch surface material and projection mirror(s), which are specified from a list of online-vendors. 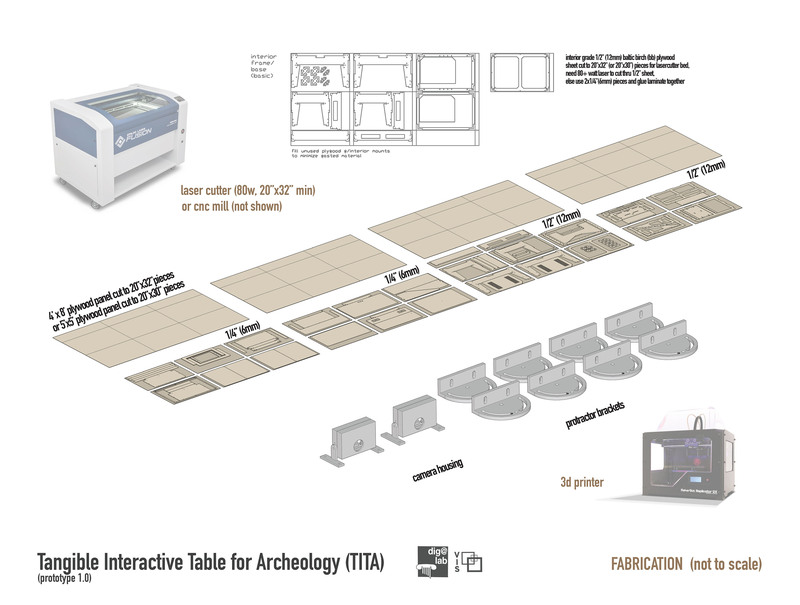 The targeted fabrication material cost, including the computer, projector and tracking cameras, is approximately $2000 – 2500 (USD), which is highly competitive with the few tangible tables currently sold, such as Reactable, which retails for approximately $6500 (USD), and are not designed specifically for the archeology and art communities. 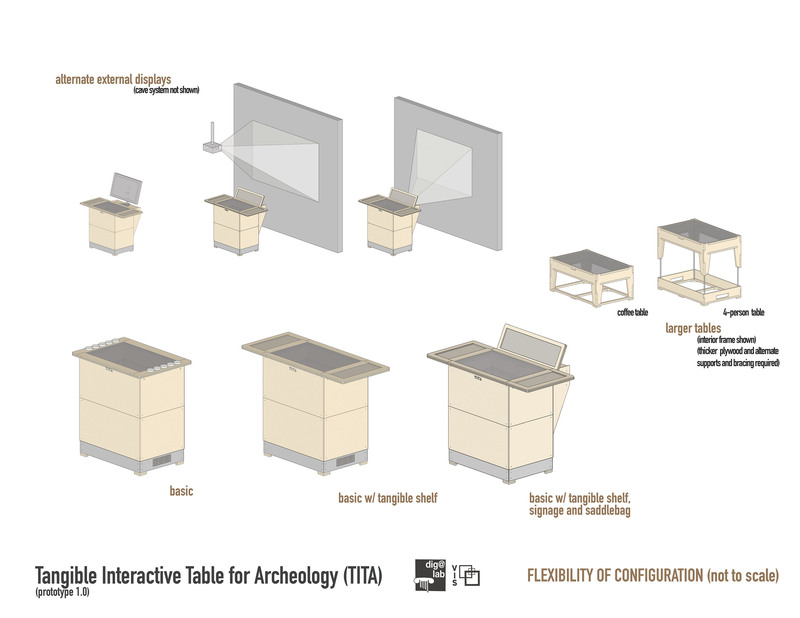 In the long-term, TITA is being developed to be mobile, self-contained and relatively light weight, allowing the table to be easily moved into varied environments, from museum and gallery settings, to public lobbies and the classroom/laboratory. The initial prototype can be easily disassembled, and packed in a small volume for shipping. 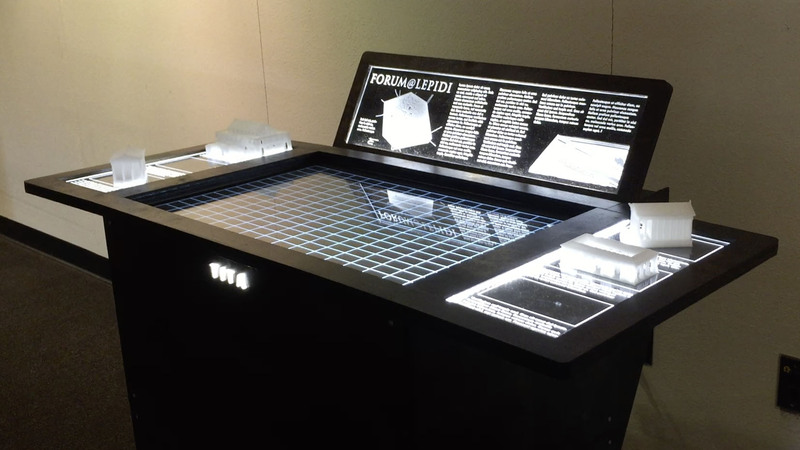 The table leverages several free/open-source software projects to provide the core functionality of the tangible/multi-touch surface. The Unity 3d game engine provides the main application development environment. 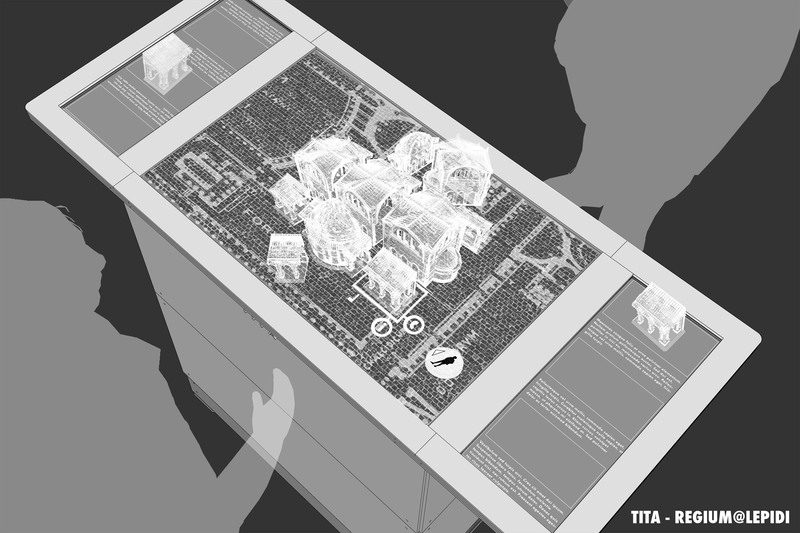 The project uses the TUIO framework (Tangible User Interface Objects) and related open source projects (Community Core Vision (CCV), TUIO for Unity etc.) 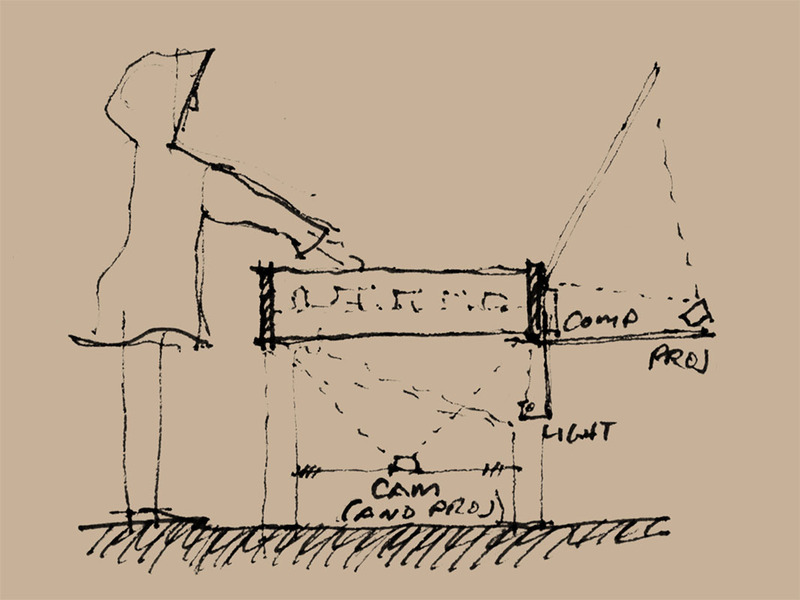 to provide tracking (multi-touch for hands / fiducial marker tracking for objects), and relays that information to Unity 3d. 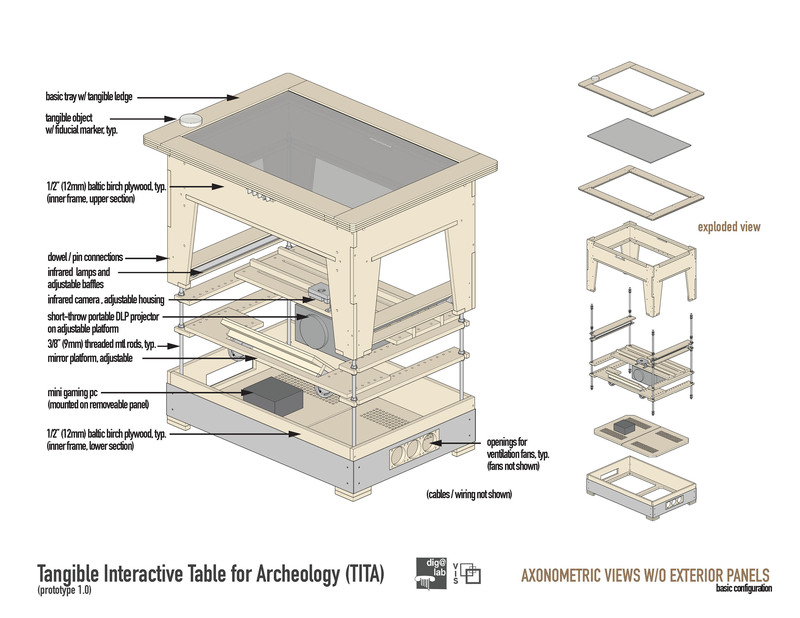 The Dig@Lab has already developed several archeology related applications in Unity 3D. One of our goals is to lower the bar of entry for this type of technology, and to encourage its adoption within new communities, as an added tool for effectively communicating its bodies of knowledge. 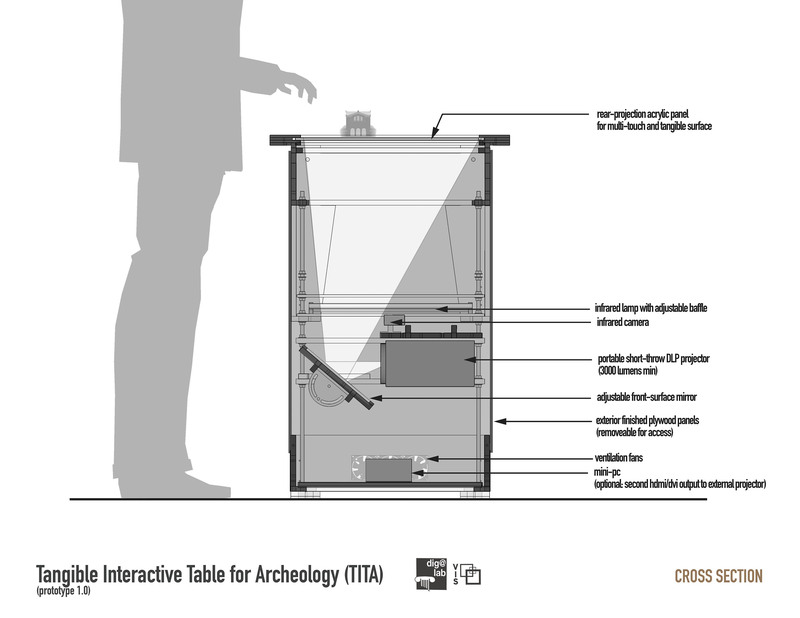 In a general sense, the project offers numerous opportunities for researchers, students, designers and interested makers to participate in an active collaborative design project, which crosses multiple domains—archeology/art and the digital communication of its artifacts, software engineering, computer vision techniques, digital design and fabrication technologies, open source communities, etc. – and thus represents the type of interdisciplinary collaborative effort that is the hallmark of the emerging maker culture and new models of 21st century engaged learning. 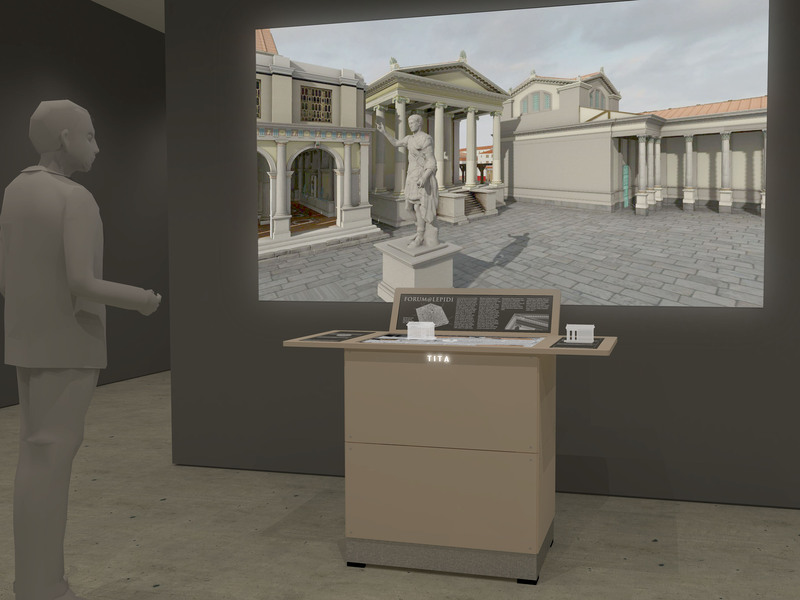 The TITA project was recently a semi-finalist for the 3M Art and Technology Award, hosted by the Minneapolis Institute of Art.